I am 22 years old, and I live in Midhurst, West Sussex. Most people probably don’t know a lot about polo. Can you enlighten us on the rules? I would say it is quite similar to hockey, but played on horses. There are 2 teams of 4 players, chasing a ball around the field at a gallop. The aim being to score as many goals as you can, whilst avoiding your opponent. How did you find your way into the sport? And why do you love it? I love it because of the Adrenaline, the excitement and the horses. There’s nothing that beats the feeling you get at the end of a good match. I first watched polo on the TV when I was 11, and that was it, I was hooked. It became my dream to be a lady professional player. I worked my way up through Pony Club Polo, and at 15, I got my first amature job, and it grew from there. How do you train for matches? Mostly on the horse, or in the gym, too? It is a mix of both. Mainly I train on the horses, as it is important to make sure they are fit and performing at their best as well as myself. I combine this with 4 training sessions a week at the gym, focusing on strength conditioning. Polo is a male dominant sport, so it’s important I keep strong! I need to be able to give the guys some competition on the field. How far can you go with competition-level polo — nationals? World championships? Playing for England in an International Championship is a great achievement in terms of career goals. I was lucky enough to represent England When I played in South Africa for the England Ladies Team in 2015, it was an amazing experience. 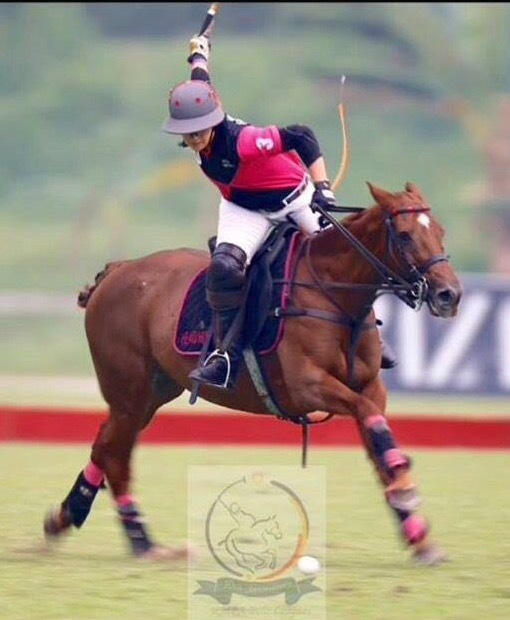 Although I would have to say, the ultimate achievement for any polo player would be the Queens Cup or Gold Cup. The two highest rated tournaments in England, they represent the toughest polo and you would be playing alongside the best of the best. I noticed FitBites on Twitter, and I wanted to give them a try as I was looking for a quick, easy snack, which I could eat on the go to a game or the gym. They give me all the right nutrients which is important, as I’m constantly on the go between the stables, matches and training and I don’t have much time to prepare healthy snacks. Got any favourite FitBites products? What about the SuperBlends, tried those yet? I have tried most of them, my favourites are the Super Reds and the Protein Hitt. I eat them daily! I haven’t tried the Superblends yet, but I look forward to receiving them in my next FitBites package.